We are lucky to be able to offer Lancashire grown little gems from Duncan Gielty through these wintry weeks as lettuces are extremely hard to source out of France. 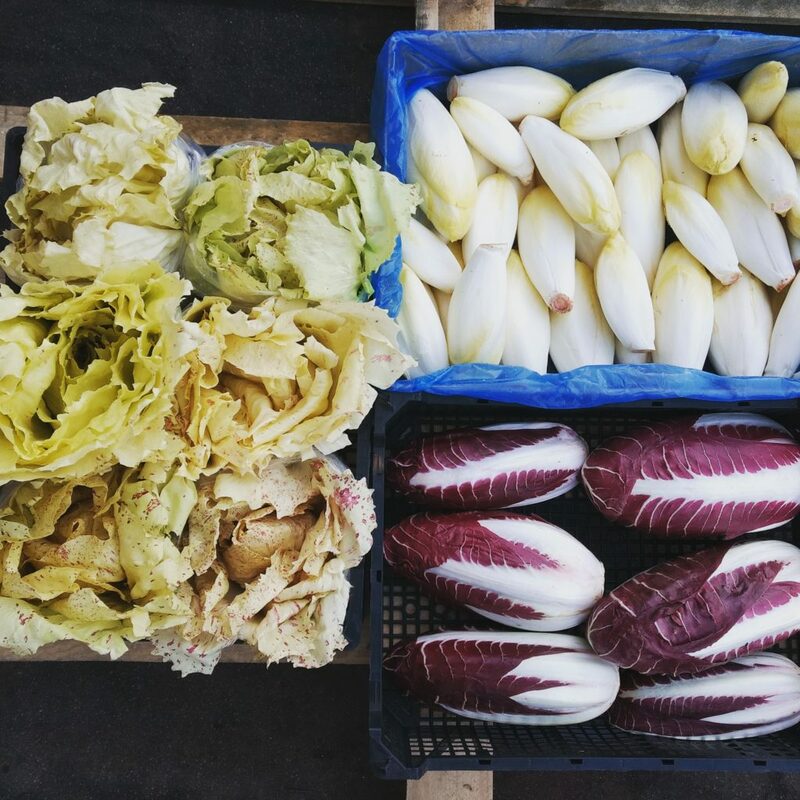 A selection of bitter leafy options is brightening up the salad display this week though: Italian radicchio and French chicory. Both can be eaten raw and cooked. Grilled radicchio is delicious coupled with garlic, rosemary and a splash of balsamic vinegar! Spain is experiencing some milder weather, so courgettes and aubergines are becoming more abundant and good value. Spanish avocadoes are unbeatable right now: lovely creamy and clean flesh with lots of flavour, not taking too long to ripen and cheap too! On the fruit aisle things are moving this week: starting with raspberries, passion fruit and physalis. Pineapples are experiencing a worldwide shortage, but we got our hands on a batch of Fairtrade sugarloaf pineapples -in the shop from Friday. Veg staff performed clementine taste tests over the weekend and revealed a strong preference for the Spanish Murcott variety; it’s very juicy and sweet and will be on the shelves all week. Since the UK supplies are dwindling quickly, we’re bringing in the first pallet of Dutch apples and pears from our favourite Dutch grower Wim Stoker to supplement the range.